Nice one Batoes, cheers mate. Sounds and looks a great board Batoes and I like the shape. What fins are you using, I assume dolphin double foiled? 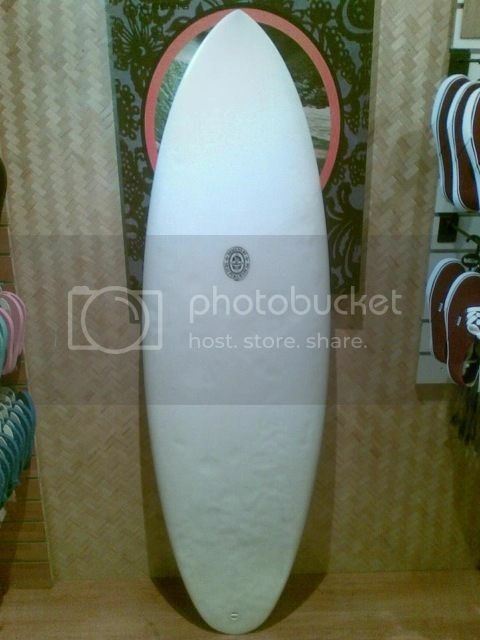 Cranked wrote: Sounds and looks a great board Batoes and I like the shape. What fins are you using, I assume dolphin double foiled? Unreal review Batoes. Was really interested in your view on the back hand. Got a "Snubby" plan shape but totally different all up by the sounds. As you said/have said before ride a NPJr with a HPS stance it just doesn't work for mind. Cheers again. They are more upright than his single and 2+1 setups i think. Great review. Comprehensive and good to read the comparos with other Npj's and the cv2. JaM71 and I called into the Sunhouse a while back and their was an NPJ jr personal duo 7'er for sale. I told the guy there it was a shame that the quality of the glassing let the appeal of buying it used for $750 down. He was less than impressed. He thought that the deck sinking either side of the stringer was no issue whatsoever. I begged to differ. Anyway...I reckon these Alkali fins would release better due to the area loss in the tip and make it really light up on your backhand. Only a rat can win the rat race. Cuttlefish wrote: Great review. Comprehensive and good to read the comparos with other Npj's and the cv2. Yeah - the condition is disappointing - the ride isn't. 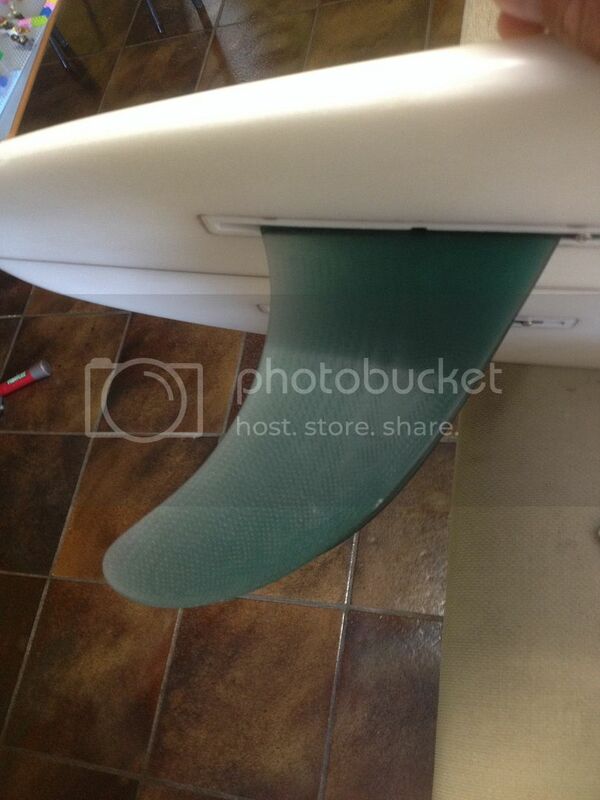 Not sure whether i'd throw in new fins for a while. Keen to ride it for two months flat chat. Awesome review Batoes, very detailed.......I think i might ve found my next toy!!! JaM71 wrote: Awesome review Batoes, very detailed.......I think i might ve found my next toy!!! I think with this board - volume is key. So really think about how you want to surf it - keep the flat deck imo. Been keeping an eye out for a second hand quartet. I'm 77kg. I know his boards are pretty much a custom for each rider. I'm thinking that something around the 5'10 x (19 3/4 - 20) x (2 1/2 - 2 5/8). Would love to hear on the size to weight from previous owners. If its a flat deck which Neal often does it will hold a lot more foam to the rails then a rolled deck. Last edited by Drailed on Fri Apr 29, 2016 7:34 am, edited 1 time in total. Yeah Drailed is right - flat decks are thicker. I've had a few - 5'6, 70kg - most have been around 5'6, 19 3/4, 2 3/8 - rolled deck and that's plenty of foam. Jam71 had a 5'10 similar dims to that mentioned above and is around 75kg? maybe less? Go 2 1/2 - they carry some foam. I'm with Batoes I've had two. Personally I like a thicker rolled deck rounded square. the foil is pretty even end to end so 2 1/2 rolled would be plenty. I've had a more refined round tail quartet and it was fast and better use in good waves but I'd opt for the chunkier square tail as they are heaps of fun and snake along like twins a bit and probably like nothing on your current quiver. I love mine. Davros wrote: I'm with Batoes I've had two. Personally I like a thicker rolled deck rounded square. the foil is pretty even end to end so 2 1/2 rolled would be plenty. I've had a more refined round tail quartet and it was fast and better use in good waves but I'd opt for the chunkier square tail as they are heaps of fun and snake along like twins a bit and probably like nothing on your current quiver. I love mine. yeah my first quartet was 5'7, 19 3/4, 2 7/16 - stringerless. It had a narrow round squarish tail and the centre was at least three inches forward with flat rocker. It went from knee high to overhead - super fast and light. Loved this board, but it was in an average state and died a heroic death at mystics about 12 months after i got it ...i've yet to find one like it. NPJ doesn't do stringerless now - but he has been messing about with varial foam and if he goes ahead with that stuff, i'm getting one. it was - but being stringerless didn't help! But, they ride so well that way.